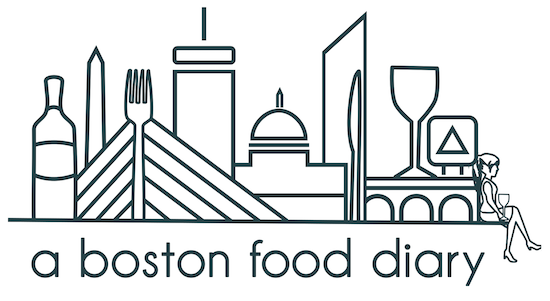 A Boston Food Diary: What do you think? So I have to put this out there. Yesterday, as we sat in a pub enjoying the Patriots win, we observed two "gentlemen" walk in with burritos from Anna's. They took a seat with their friends, laughing about how they had snuck food into a restaurant. Later, as they began to enjoy their burritos, one of the servers of the establishment noticed the situation and explained that they could not eat outside food in the restaurant. Upon hearing this, the kids got angry with the server, and stormed outside to finish the "illegal" burrito. The friends still seated at the table continued to complain to any server who would listen about how rudely they were treated. Now I ask you...who was rude here? The server upholding the "obvious" rules of the establishment, or the kids who felt that they should be able to bring in outside food? I left the place a few minutes later rather outraged that the servers were poorly treated as a result of rule breaking. What are your thoughts on this? Am I wrong to be irritated by this? It was definately the customer. I used to work in a cafe and had a family come in and literally hang out for two hours with their DUNKIN DONUTS food and leave one of the biggest messes I've ever seen. When I asked them politely to leave with their non-cafe food they scoffed at me and acted put out. I completely understand your irritation here. Definitely rude. Maybe I can understand them being stupid and trying, but at least have the decency to be embarrassed and apologize when you get caught! @Kathy- UGH! See stuff like that just IRKS me! Ridiculous! @Aimee- that was EXACTLY what I said- if you are going to "try" then find- its obnoxious but fine. But to then get MAD when youre reprimanded? So ridiculous! I just feel that common courtesy in society is a dying notation in today’s world. People just don’t seem to care anymore. It’s sad to see that the principals that my parent’s taught me are all by the waste side now. No one is ever wrong!